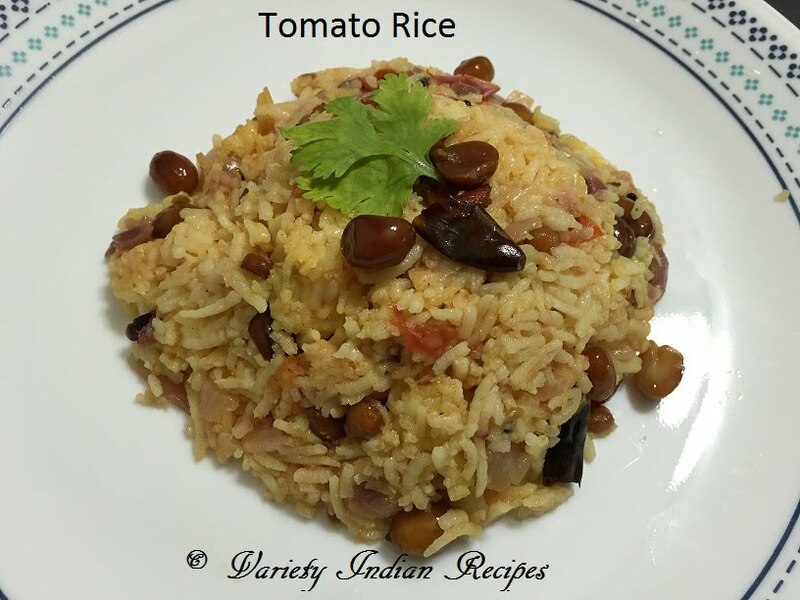 Tomato Rice is a popular and tasty Indian dish. Rice when sauted with tomatoes and spices gives it a delicious flavour. This can also be made with leftover rice. It is one of the most common lunch box dishes. Tomato rice can be served with chips, pickle, appalam/pappad. Wash and soak rice in 1 cup rice : 1 and a half cup water for 30 minutes. When channa dhal turns slightly brown add urad dhal, red chillies and curry leaves. Add onions , green chillies and finely chopped ginger garlic, fry till the onions become translucent. Add the tomatoes followed by salt, turmeric powder and chilly powder, saute till the tomatoes are tender. It can be served with chips, pickle, appalam/pappad.